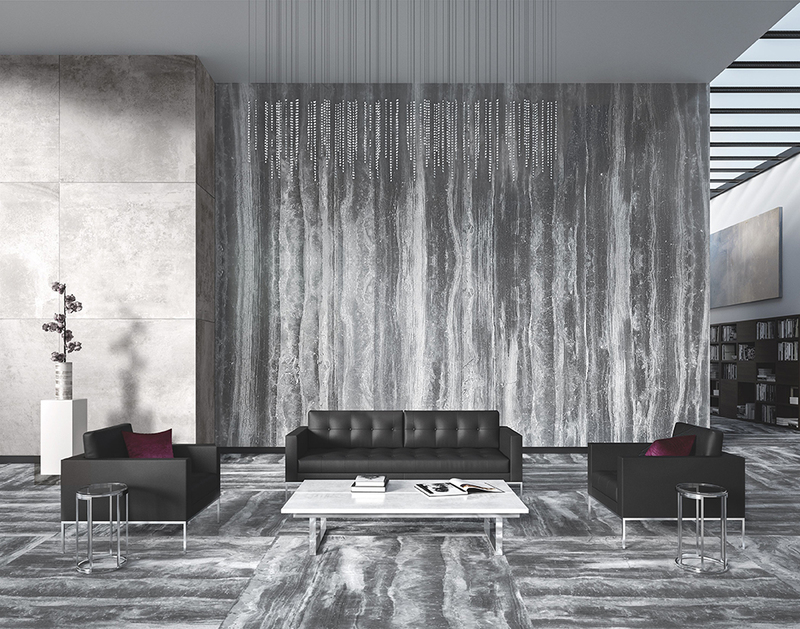 Panoramic format porcelain slabs up to approximately 10 x 5 ft from Daltile can now be custom sized through the company’s FlexFit Size Solutions program. The pre-cut program includes multiple sizing options and offers the slabs pre-cut into seven smaller stocked sizes that reflect the most standard cut dimensions needed for both residential and commercial applications. The pre-cut sizes are available in both 6 and 12 mm thicknesses. All Panoramic colours are stocked in extra-large slab as well as in the new standard sizes. Pre-cut sizes include: 63 x 63, 31.50 x 126, 31.50 x 63, 31.50 x 31.50, 21 x 21, 15.75 x 63 and 15.75 x 31.50 in.